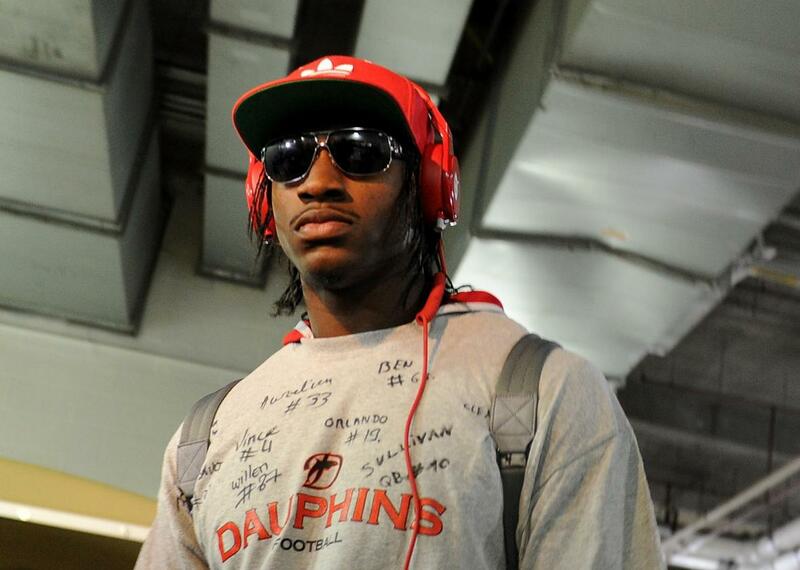 Robert Griffin III's super emo locker room farewell. Quarterback Robert Griffin III arrives to the stadium before taking on the Philadelphia Eagles at FedEx Field on Sept. 9, 2013, in Landover, Maryland. Robert Griffin III was supposed to be the savior for Washington’s NFL franchise, which traded away a small fortune in draft picks to acquire the quarterback. It didn’t quite work out that way. Sunday was almost certainly the former No. 2 draft pick and NFL Offensive Rookie of the Year’s final game with the team, and he demonstrated his famous emo streak in a farewell message left in his locker. Though he doesn’t give the origins, the quote is one that has for years been misattributed to Mother Teresa. It is actually a paraphrase of a poem called “The Paradoxical Commandments” by Kent M. Keith, a version of which is reported to have hung on the wall of Mother Teresa’s children’s home in Kolkata, India. These past few years in Washington have been rough for Griffin III—he suffered numerous injuries and a string of benchings and negative comments by coach Jay Gruden before finally losing the team’s quarterback job for good at the start of this season—but the quote probably made a bit more sense in an orphanage than as a very public goodbye note to your employer.